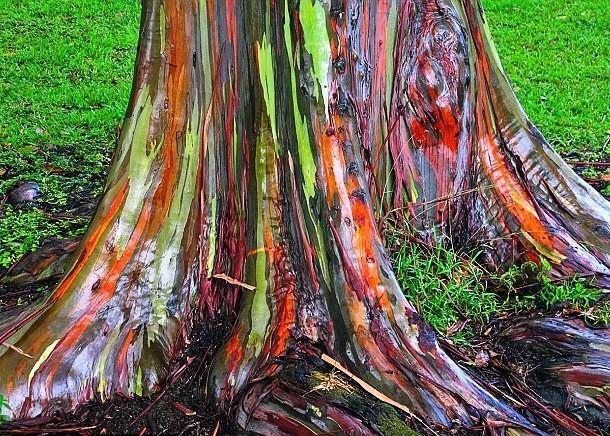 We’ve been talking about the Rainbow Eucalyptus in the office for weeks now, trying to figure out where would be an ideal spot to plant so that onlookers could appreciate the size and beauty of this amazing natural kaleidoscope. Indigenous to tropical and subtropical areas, it thrives on a considerable amount of moisture, sunlight, and warmer temperatures. Though it has a low tolerance for frost, this species has been known to grow fairly well in larger areas (parks and fields) in the southern portions of Texas, Florida, and California. In adequate US climates, these guys can get 80-100 ft and higher which means its roots are so massive and outstretching that if planted near a home or structure (we’re talking a minimum outdoor growth rate of 3 feet per year) it quickly poses a serious threat to foundations and underground piping. On a positive note, if you’re looking to have one in your backyard it seems to do well as a potted plant with a bit of TLC and a green thumb. But most importantly... how does it get those colors? 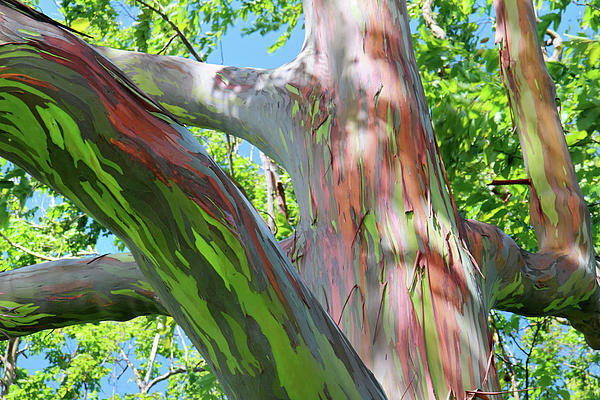 As they grow, they shed their bark in strips, which leaves streaks of vibrant green that change colors throughout each year. From green to orange, violet, yellow and blue, a leprechaun could be fooled into looking for gold at one of their bases. As more strips shed, there is a constant turnover of colors so year to year this tree will continue to be unique even to itself. If you’re like us, you’re probably wondering where you can go to see them in their natural habitat. If you happen to be vacationing in Hawaii, you’ll want to pop over to the island of Maui where these trees have been speculated to have been growing since at least the 1930’s. 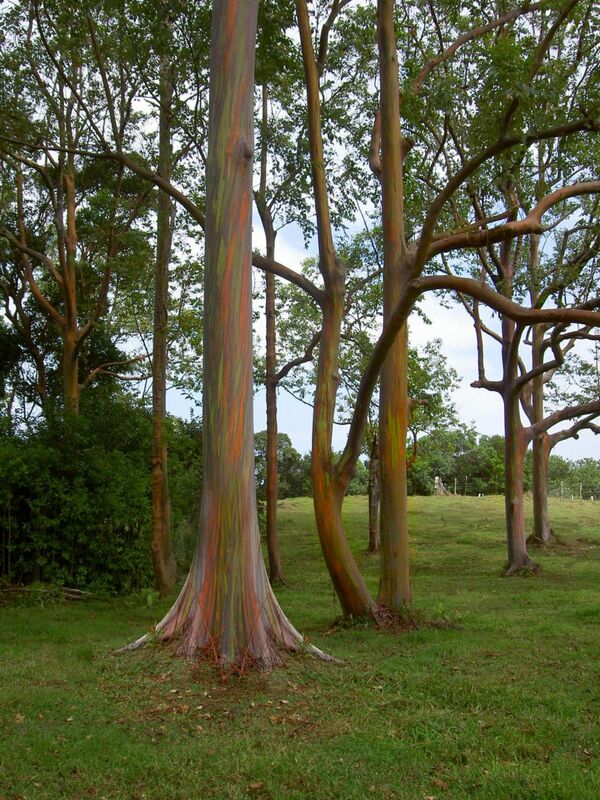 Here, you’ll find an abundance of beautiful 200+ foot Rainbow Eucalyptus (also know as Rainbow Gum or the Mindanao Gum) growing like wildflowers. Indonesia, the Phillipines, parts of Britain, and Polynesia also act as home to these breathtaking and surreal trees if you’re thinking of travelling further. Just imagine laying under this tree at night surrounded by blacklight filled uplights!